Patent and trademark laws around the world are rife with hilarious examples of what people try to own and reap profits out of. After people have tried to patent fire, and the wheel, the newest hunting ground for opportunistic entrepreneurs is the web. A Russian businessman has gone ahead and trademarked the oh brother emoticon. Oleg Teterin hopes to earn thousands of dollars in licensing fees. This means that no emoticon can be legally used in Russia because they all bear a similarity to the oh brother emoticon. Being the benevolent individual that Teterin is, he has allowed lay users complete freedom to use the emoticon in the normal course of internet interaction. The trademark application has to be ratified by the Russian Patent Agency, and it remains to be seen if the trademark, in fact, be granted. Russian lawyers argue that the trademark may not be granted because of its wide use, and being against the interest of the general population. This is not the first time that a smiley has been copyrighted. 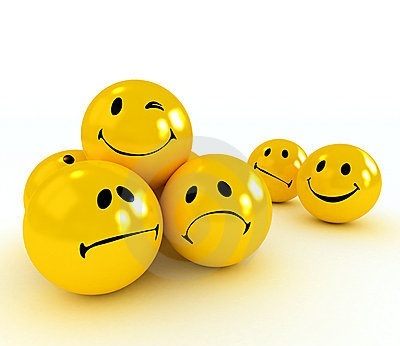 Way back in 2001, the :-( emoticon was copyrighted by a US firm called Despair, Inc.